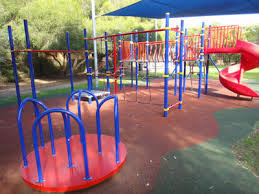 Most of you will be aware that you can no longer smoke near children's play equipment. Yet a resident brought to my attention that members of the public have been smoking at the Dora Guild Playground and that Council staff had told her that they had no power to stop them. I raised this matter at the December Council meeting. The legislation states that no-one can smoke within 10 m of play equipment, as there are places within the fenced park that are more than 10 m from play equipment people can legally smoke within the fenced park without penalty. Staff are now preparing signage to discourage people from smoking and have increased surveillance. My recent talks with staff have left me delighted as they believe that Council can change by-laws to over ride this anomaly. This will then apply to all fenced play area within Unley. This will be, if passed by Councillors at a future meeting, be a win for kids and common sense.